The incredible words of two great revolutionaries are in my mailbox today, dated ten years apart. The first is an interview with Russell Means, at the anti-war march at the Democratic National Convention, speaking out on U.S. perpetual war and imperialism. Thank you Govinda Dalton for preserving and sharing this today. Christine Prat in Paris sends us the words of Angela Davis, former Black Panther, speaking out on racism, and standing in solidarity with Leonard Peltier and Palestinians. 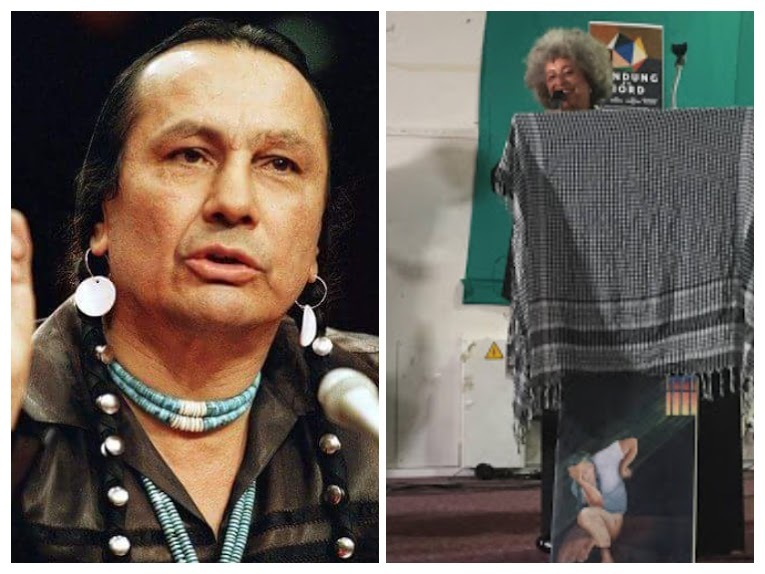 The power of Russell Means words are a reminder that Martin Luther King, Jr., spent the final year of his life, before he was assassinated, leading anti-war efforts. Angela Davis' words reveal the reality that racism in the United States, and throughout the world, did not end with McCarthyism, but today is a global reality marked with police brutality, imprisonment, and death.